A question tickles the back of your mind. It won't go away, not until you have a definitive answer. Just how long is too long? 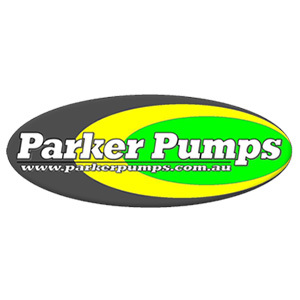 Do you run your swimming pool pump for an indeterminate period of time, or is there a set number of operating hours? The pool needs to be clean and free of bacteria, absolutely, but that sparkling clear water shouldn't cost a fortune, right? Timer in hand, you start configuring the pool pump so that it runs for 8-hours. For an average home swimming pool, that's enough time to recirculate and filter the entire fluid load. However, this is figure is a gross approximation. Oftentimes, and many swimming pool installers follow this practice, a choice is made to oversize the pumping system. A higher horsepower rating assures full volumetric circulation, after all. Taking this design choice into account, the pool water may circulate every 6-hours or even every 4-hours. Nonetheless, that 8-hour time period does provide a good baseline, one that balances energy savings against pool hygiene. And by the way, the 8-hour rule can be broken into chunks. Just make sure the operation is carried out over a 24-hour period. For example, two 4-hour blocks over the course of one day will do the trick. Get out your calculator, it's time to figure out a few sums. In gallons or litres, know the volume of water in your swimming pool. If that little bit of maths seems inordinately difficult, consult a pool volume calculator. Type that term into Google. Enter the length and width of the pool, its shape and the width. Two width values may be required because swimming pools often have a shallow end and a deep end. Are all of these measurements entered correctly? Click the calculate button for an answer in litres or gallons. Leave that number while you look over the pump's operating characteristics. There are more numbers flying around this time, including the pump model number, the pipe length, and the device's head rating. A little division and addition magic, perhaps carried out on a pocket calculator, gets the job done, then you're left with a period of time for running your pump. Again, the figure usually sits between 6 and 8-hours. Essentially, the entire volume of water should be filtered once a day. Sure, it's possible to gauge the water quality with a keen eye and a clear nose, then you'd adjust the pump accordingly. Strictly speaking, however, you need to operate the swimming pool pump for a set number of hours every day. Buy that timer device, use the baseline we've provided, or get out a calculator and do your sums.